Insulation, simply put, is a quality of a substance to “resist” transferring heat (or cold, basically energy) through it. Used to allow the internal environment temperature to remain constant independently of external temperatures. The R-value of a substance is its direct measure of its resistance to transferring energy or heat. The higher the figure the better it is at resisting energy transfer. The higher the figure the better it is. Spray Foam insulation can be applied to walls, on attic surfaces, or under floors to insulate and reduce air leakage. We use two types of spray foam insulation: closed-cell and open-cell. Both are made with polyurethane. With closed-cell foam, the medium-density cells are closed and filled with a gas that helps the foam expand to fill the spaces around it. This rigid foam is the most versatile and effective, offers the highest R- value per inch and is the most energy efficient insulation on the market today, providing both an air barrier and a vapor barrier. Open-cell foam cells, are not as dense and are filled with air, which gives the insulation a softer spongy texture. However, it has only about half the R-value and has to be applied in greater thicknesses to achieve the same results. It functions exceptionally well for sound-proofing and filling deeper cavities, but requires the application of a vapor barrier. Foam insulation is a premium product that pays for itself quickly. Save on energy bills –foam insulation can help you save on heating and cooling costs by up to 50%. 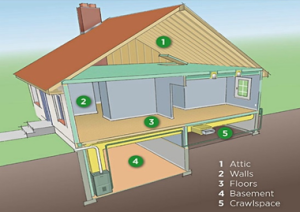 Air sealing your home using spray foam insulation creates a cocoon effect, increasing the comfort of your home. Reduce noise – open-cell spray foam can help reduce sound from noisy indoor rooms such as media rooms and laundry rooms, outdoor noises such as traffic and playgrounds, and transferred noise such as flushing toilets. You want your home to last a long time – spray foam insulation can help. Protect against moisture – 99% of the moisture that enters the walls of your home is carried in the air. You can reduce the amount of moisture that gets into your home, and the mold and moisture damage that can come from it, by air sealing it with spray foam insulation. Keep pests out –closed-cell spray foam insulation does not provide a source of food for rodents, termites, or other nasty critters. It also doesn’t make for good nests, and as a solid material it’s difficult to pass through, helping protect your home from critters. Structural Integrity – Depending on your application, and the product you choose, closed-cell spray foam can offer extra structural stability to your walls which can’t be achieved using other traditional forms of insulation. According to the most recent industry statistics, the popularity of spray foam insulation has grown at almost 40% a year during the last decade. The reason for this popularity is purely because of the efficiency of the product. For the homeowner, the benefits are numerous: heating and cooling costs from one season to the next are measurably reduced; R-values are augmented in areas where the insulation is installed; and air and moisture movement is curtailed, allowing for better air circulation. 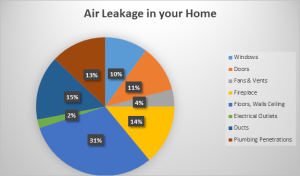 Interestingly, Foam and Coating Pros has found that homeowners, who decided on spray foam insulation, often received higher resale prices on their homes.